Welcome to day 4 of the MFT December Release. There are 4 countdown days left until the big release on Tuesday, December 11th at 9am CST. Stay tuned each day to see sneak peeks of all that will be available for purchase. 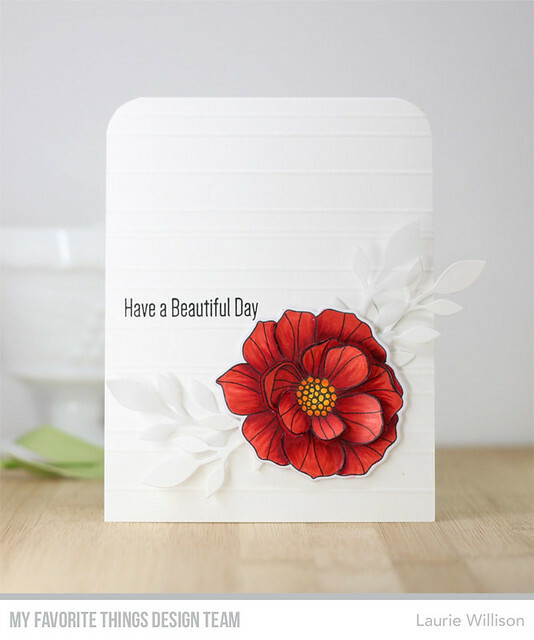 Today I have a gorgeous new bloom set to share called Brilliant Blooms. To create this card, I scored a white card base and then stamped the sentiment on the card front. I colored up on e of the blooms with Copics and then did a little cutting so the petals stand out for a fun 3D look. 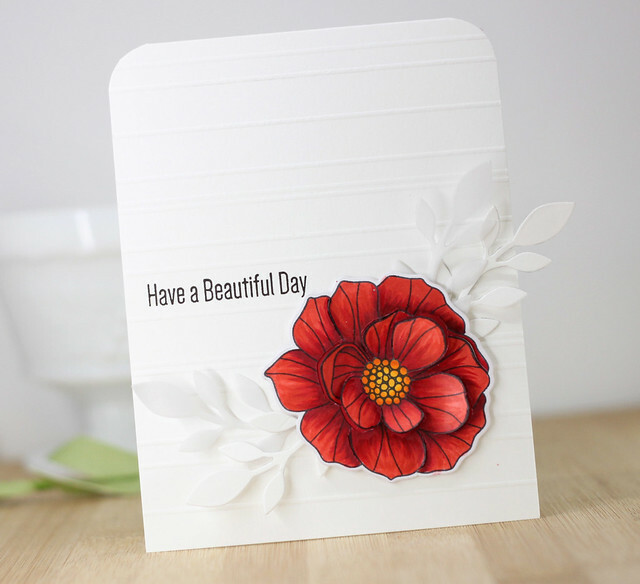 I layered the bloom with some white and vellum die cut leaves using the Grand Greenery Dies. Come back tomorrow for another day of the countdown. Head over to the MFT Blog to see what the rest of the Design Team created for today. Thanks so much for coming by today! This is gorgeous Laurie! The depth on the vibrant bloom is amazing! So gorgeous! Love the rich red color with the white! Stunning coloring & adding the vellum & white leaves is perfect! Beautiful Copic coloring and I love how you created the 3D look! Really stunning card, Laurie!